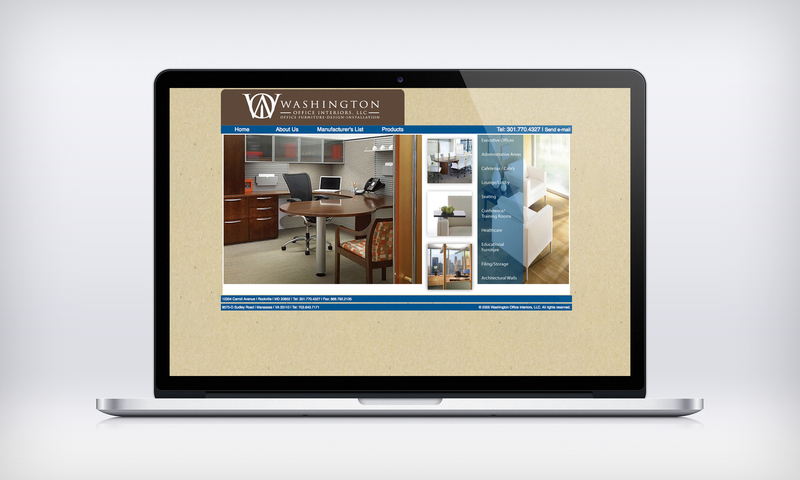 Created a website featuring office furniture that Washington Office Interiors uses in their designs. Keeping their branding consistant through all their marketing materials. 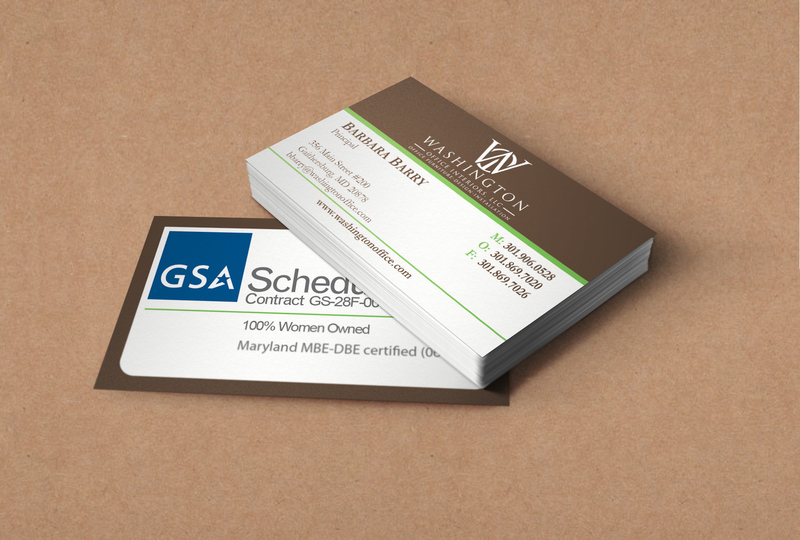 The latest business card design for the client incorporated a recycle paper feel to their cards. 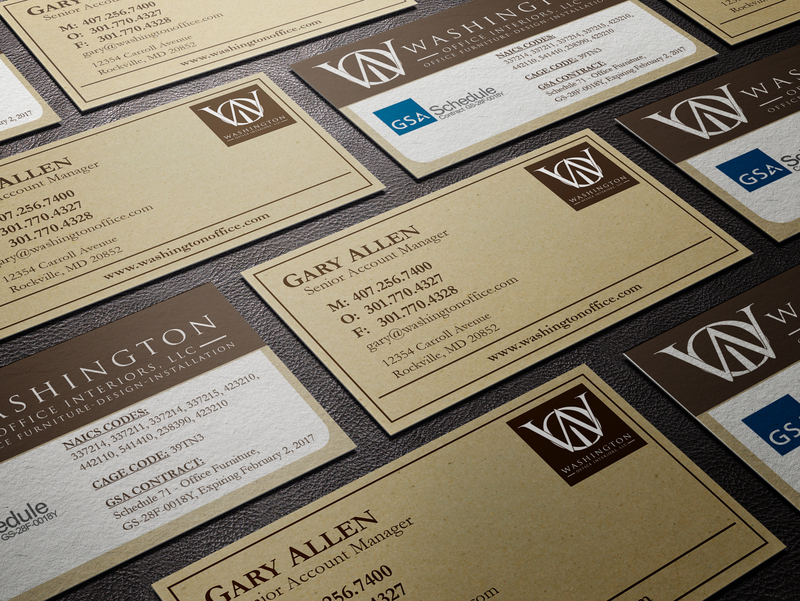 The texture and look of the cards was essential for right look. 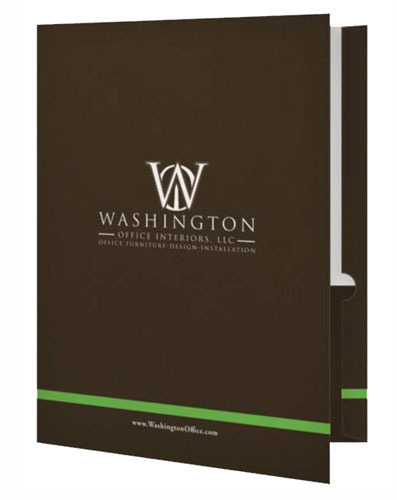 The folders have a dark brown linen finish to match the existing marketing pieces and web design. The texture of the linen should add an extra bit of depth to these glossy folders. 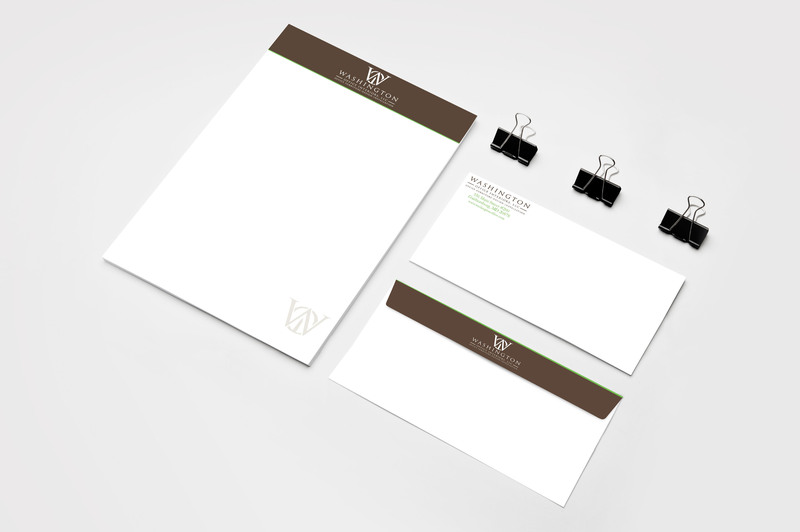 Presentation Folders keep everything organized and looking professional.